The H370 Hybrids have proven to be KZG’s most popular line of hybrids. 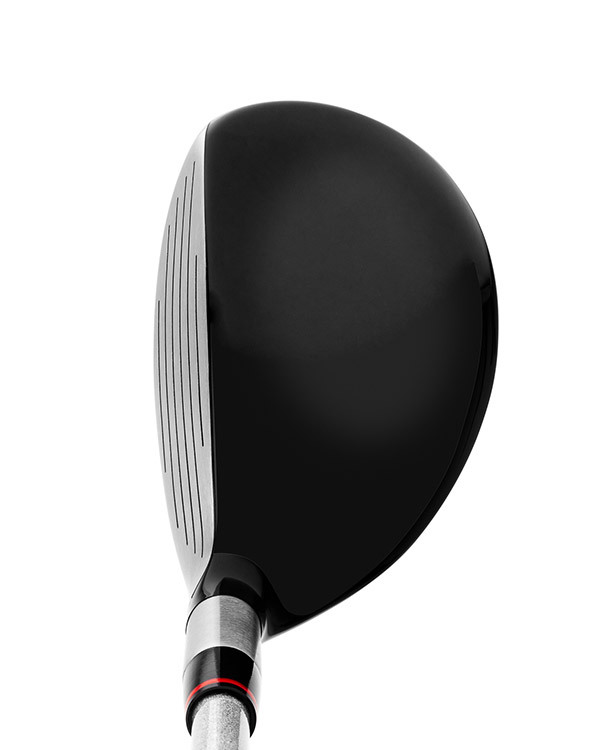 The H370 is a great golf club for mid to high handicap players who not only want the extra forgiveness of a hybrid, but also have trouble launching the ball into the air and getting the ball to stop on the green. These hybrids feature a slight offset and the CG is positioned low and deep in the head to aid the golfer with the height of the shot when comparing it with an iron of the same loft. 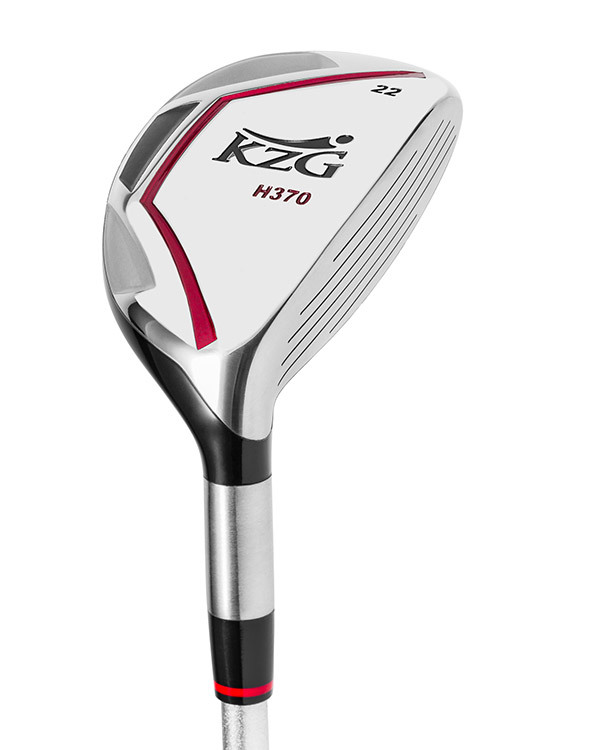 The H370 are so popular that KZG has continued to add to the line of lofts, at the request of its network of Authorized Dealers, the World’s Top ClubFitters and avid golfers worldwide. Today, many golfers totally abandon their irons and opt for a bag full of hybrids. Easy play; More enjoyable game. The beauty of the H370 Hybrids is the combination of the best characteristics of both the wood and the iron. Virtually everyone who has tested the H370 has achieved an average of 10 yards greater distance as compared to the same loft in an iron. The mid profile design of the H370 allows for workability with great shots off any lie. The maraging steel face insert features roll and bulge for outstanding rebound and a gear effect for forgiveness. 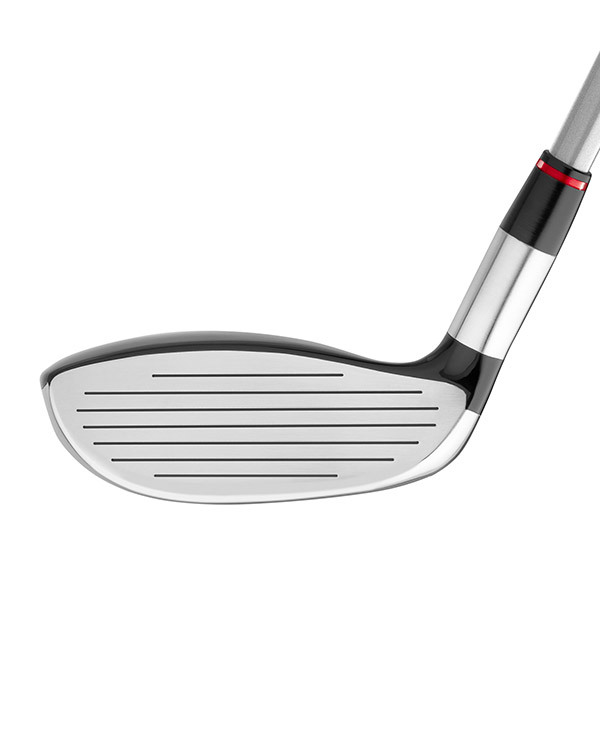 Because this hybrid is shafted to the shorter iron shaft, the golfer has far more control and is assured precision shots. The H370 Hybrids offer outstanding performance, along with a great solid feel. Lower handicap players may also want to test the H370 Tour Hybrid with a more shallow face for even greater workability coupled with a very low, boring trajectory. Any golfer with a fade or draw bias may also want to test either the GF-H or HSS Plus as these models can be adjusted to compensate for swing flaws and any special fitting needs. After turning 50 years old, I noticed my #4 and #5 irons were not meeting my expectations. 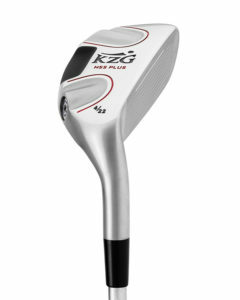 I was recently fit for the H370 22° and 26° hybrids from KZG … and I am getting awesome performance and my distance back. I am now considering replacing the rest of my irons as well. The H370 hybrids are by far the best addition to my bag...so many more loft options making it incredibly easy for me to hit my long irons with ease. Thank you KZG...I love them! 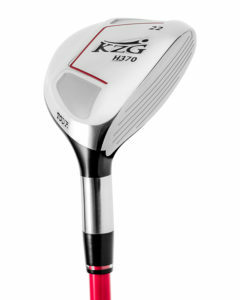 I was fit for the KZG H370 hybrids after they were rated by Golf Digest as great performing and great value. Wow. I added the 18° and 22° to my bag and will be going back for more. I have always hit my long irons well, but then I tried the H370 hybrids and loved them. I actually gained 10 yards in distance on both the 18° and 22° and the trajectory was ideal. I can now go right at the flag on longer shots. The H370 hybrids have helped me decrease my dispersion pattern. I am now more accurate and am realizing 10-12 yards greater distance. I am 76 years old and since getting rid of my irons and replacing them with the entire H370 line of hybrids from 18° to 42°, I have been much more consistent and hitting longer. I have also shaved a couple of strokes off my game. As a new golfer I found the H370 18° very easy to hit. It is very forgiving on my mis-hits, and less jarring and painful than the irons I have used in the past.